At an event in Beijing Intel Launched its latest and the most powerful 8th Gen Coffee Lake-H ‘High-Performance’ Core i9-8950HK Processors for laptops. The company is touting that this is the most powerful laptop chip ever. Coffee Lake is the code name of Intel’s eighth-generation processor’s line-up. The new chips come with much-refined manufacturing process (14nm++) and Hyper-Threading technology with up to 6 core and 12 thread. It is slightly higher in performance than its immediate predecessors Kaby Lake (14nm+) and Skylake (14nm). Hyper-Threading double the number of cores than it really does and provides some extra power to the performance. Intel Core i9-8950HK processor comes fully unlocked for overclocking which “provides the opportunity to tweak the platform performance to its fullest potential,” especially for content creation, VR, and gaming. This chip features 12 MB of L3 cache and is geared to run up to 4.8 GHz clock on a single core while all core boost will be set at 4.3 GHz, the base clock will be set at 2.90 GHz. According to Intel, gamers can expect 29 percent overall performance boost compared to the seventh-generation Core i7 desktop processor, and 88 percent better performance for those looking to upgrade from a three-year-old system. 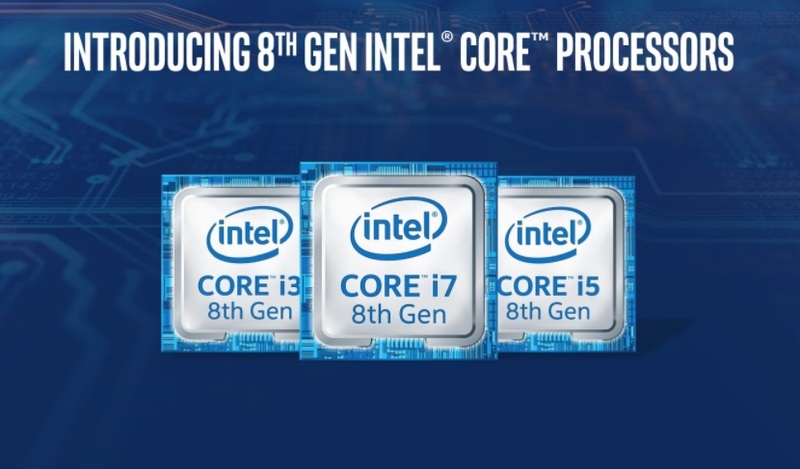 The 8th generation Coffee Lake-H family has a total of seven processors. Two of these are Xeon models while the rest are Core models. All of the chips come with the 14nm++ process node and feature support for Intel Optane memory while the new 300-series chipset also adds integrated Gigabit Wi-Fi which is twice as fast as the standard wireless LAN connections. Intel has also launched mainstream Core i7-8850H with 6 Core / 12 Thread and Core i5-8400H and Core i5-8300H processors with 4 Core/ 8 Thread. In terms of performance, Intel is saying that the Core i9 processor will boost the overall performance by 29% compared to a 7th Gen Core i7 H-series flagship chip. It’s also up to 41% better in gaming performance and game streaming performance is said to be 32% better. Content creation which benefits from increased core count will yield up to 59% better results during 4K video editing. The new 8th Gen Coffee Lake-H Core i9-8950HK Processors has been priced at $583 in the US, while the other Core i7-8850H, Core i5-8400H, and Core i5-8300H processors have been priced $395, $250 and $250 respectively.